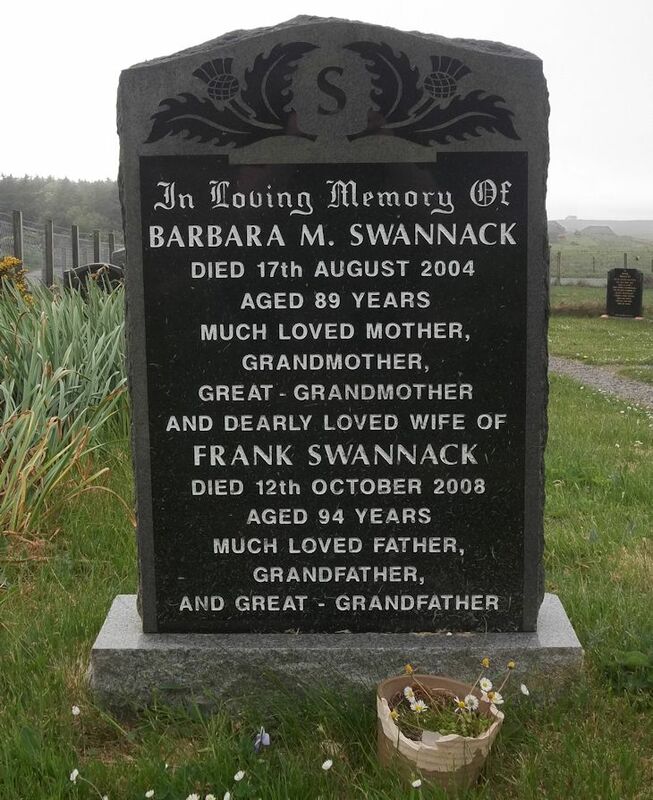 Skye Gravestones | Barbara & Frank Swannack. In loving memory of/BARBARA M. SWANNACK/died 17th August 2004/aged 89 years/much loved mother/grandmother/great-grandmother/and dearly loved wife of/FRANK SWANNACK/died 12th October 2008/much loved father/grandfather,/and great-grandfather. Picture Added on 09 June 2018.